Iceland volcano, northern lights: A gorgeous video of the desolate country. Iceland’s bright aurora is ideal for time-lapse photography. Daniel Lowe, a master of night motion time-lapse photography, recently went to Iceland in search of the perfect shot. Iceland didn’t disappoint. With its soaring aurora, stark landscapes, and unique geology, Iceland is the New Zealand of the Northern Hemisphere. Watching time lapses of clouds billowing over the Icelandic landscape is like traveling to the past to witness the birth of time itself. The resulting video is breathtaking. It will be the best five minutes of your day. The combination of long exposures, a full moon, and the bright aurora made many of the time-lapse sequences appear as if they were captured in broad daylight. Combined with the powerful soundtrack, the whole thing makes you feel like you’re witnessing the dawning of time itself. Lowe was inspired to travel to Iceland from his home in North Carolina by other-worldly images of lava fountains from the country’s ongoing volcanic eruption. His goal for this project was to capture the prehistoric power of the planet, ideally combining a shot of the eruption with aurora soaring overhead. Unfortunately, Lowe was thwarted by the increasingly tight official access to the Bardarbunga/Holuhraun eruption region. Instead, Lowe and his partner drove the Ring Road around Iceland, stopping at some of the country’s most majestic views (and quirky oddities, like an abandoned U.S. Navy plane crash) along the way. 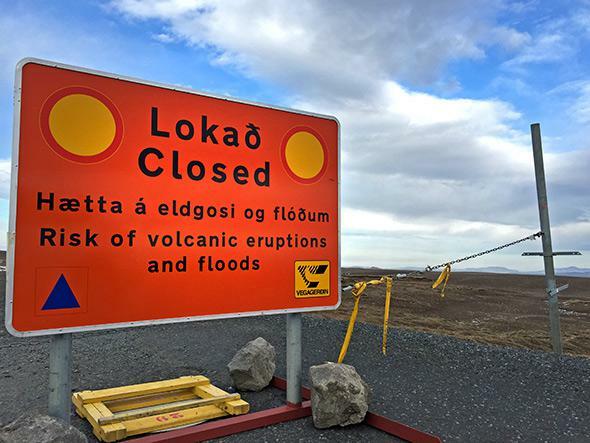 Much of the Bardarbunga/Holuhraun eruption region was closed due to volcanic activity. In a land as wild as Iceland, no amount of technology is able to sufficiently capture its power. Even camera-laden drones melt when they get too close. Instead, Lowe worked from afar, using a new spin on an old method: stringing together a series of long-exposure photographs to produce the illusion of motion. I spoke with Lowe on the phone this week. What were your favorite places you photographed on this trip? The waterfall at Skogafoss should be next to the word waterfall in the dictionary. It’s so picturesque, there’s no trees, it’s just green grass and a stone field. Where we stayed in Fljotstunga, the cabin we stayed in is called hraun, which is the Icelandic word for lava. The cabin is built in a lava field about 250 years old, and everything is covered with moss—that’s the first thing that happens. It’s a very soft, carpet-like moss, it’s weird to step on. It feels too soft to be outdoors. When you go to the northeast part of the country, the lava is too new to even have that. Iceland, besides the aurora, is just a raw land. The world is still being made and destroyed there, and you can see that. That’s why so many movies are made there. There’s about 15 recent movies that were filmed there, Interstellar, Prometheus, The Secret Life of Walter Mitty. They’ve all filmed in Iceland because it looks like another planet or a fairy tale, one of those two, you know, take your pick. The aurora, the northern lights, is the star of your film. What was it like to photograph it so many nights in a row? I’d never seen the aurora before. For a night-sky photographer, that’s about as good as it gets. When you want to do night sky time lapse, you usually pretty much focus on the Milky Way or on something bright. Most people are not really impressed by that. You want to have something to frame, and you want to have a lit-up subject. The aurora is awesome for that. It gives you something to photograph besides the Milky Way. It’s not this faint, distant object, which the Milky Way kinda is. You don’t have to struggle to photograph it because of light pollution. What we saw was pretty much the average weather and the average aurora you’d see in a few weeks in Iceland. Were you bummed about not being able to shoot the eruption up close? Well, we did manage to photograph it, sort of. [The scene Lowe’s talking about starts at around the 3:15 mark in the video.] There’s something weird that happens in that scene. The clouds do stuff I’ve never seen clouds do before. They go around the heat source or something. The mountain generates orographic clouds, but then as soon as it gets over that mountain, it’s like all the clouds steer around something and there’s a red light coming from the ground. Tell me more about that weird plane in your video. It’s a U.S. Navy plane wreck from 1973—they had some kind of mechanical problem, and they had to set ’er down. So they found a beach. That place is so desolate, if you walk in the wrong direction on that particular beach and lose sight of your vehicle, you would be really lost. There’s not a sign that says “Go this way to the plane”—you have to know it’s there. We spent a night looking for that plane and not finding it. Apparently nobody died when they set the plane down. The aurora came out just for about two hours, maybe 90 minutes, right when we got to the plane, and I set up. This conversation was lightly edited and condensed. 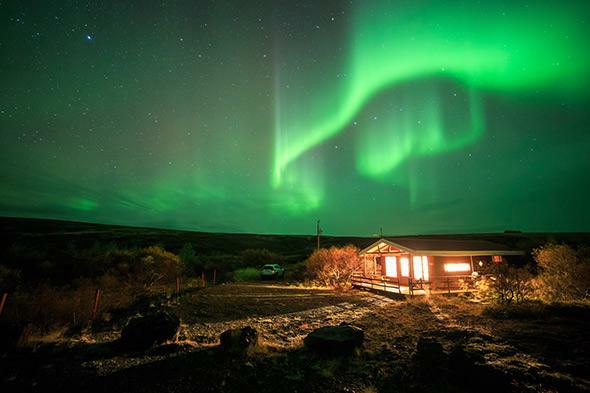 Lowe left Iceland just as a massive sunspot was rotating toward Earth, providing a boost to the northern lights in recent days via some truly humongous solar flares. Aurora lovers should monitor sites like Spaceweather.com for photos from around the world as they stream in.